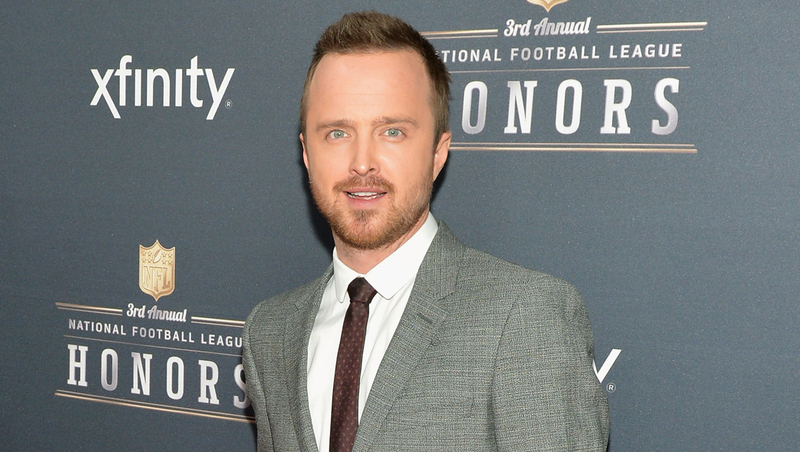 Aaron Paul wants to revive Jesse Pinkman for "Better Call Saul"
If Aaron Paul gets his way, "Breaking Bad" fans can expect to see Jesse Pinkman calling on Saul Goodman -- and perhaps calling him some names -- in the spinoff series centered on a sleazy lawyer. Paul says he'd had "serious talks" with "Better Call Saul" co-creator Vince Gilligan about returning to his character, a low-level drug dealer before he linked up with Bryan Cranston's Walter White to produce methamphetamine. "Anything Vince is involved with, I'm there," Paul said in an interview while promoting the upcoming "Need For Speed" movie. "I owe him my entire career. And the idea of jumping into the skin of Jesse Pinkman again in his lighter days - because it's all a prequel - it would be fun." Vince Gilligan: "Breaking Bad" was "lightning in a bottle"
The Emmy-winning "Breaking Bad" ended last year after five seasons. When the series wrapped, it was unclear what would happened to the Jesse Pinkman character. Gilligan told GQ magazine, "My personal feeling is that he got away." Gilligan told reporters last month that he'd be asking its actors to make cameos in "Better Call Saul," which will star Bob Odenkirk and is set to premiere in November on AMC. It's unclear if Cranston will make an appearance. One actor who definitely won't be involved is Dean Norris, who played White's DEA agent brother-in-law Hank Schrader. Norris is starring in the series "Under the Dome," set to premiere its second season on CBS this summer. "I don't think they'll let me do a little cable show," he said in an interview this week while promoting the film "Small Time." "I think that experience was that experience. I'm not a big fan of kind of revisiting something that has already been done. But I think it's going to be awesome. So I can't wait to see it."